In the trailer Hideo Kojima discusses the reasoning for the long wait on the announcement date. Citing the vast environments of the open word, and how the development team have had to balance and adjust the game, making it feel and play just right. Kojima's love of movies is on full display in the interview, as he talks about his influences in creating the Metal Gear series and the limitations that were present during the development of the first Metal Gear games. He discussed practices which are now considered common place, such as using cutscenes to add to a more story to action games. He also talks about the design of the Metal Gears themselves, as well their origins from failed 80's experiments. Which I found kind of interesting in light of my experience playing Metal Gear Solid 3. Kojima also discusses Metal Gear Online 3 and people how all over the world will be playing this game, each player creating their own Mother Base, which can be raided, as was discussed in earlier gameplay videos. Stealing and killing other players's Big Boss' in this strange pseudo-alternate reality that makes me think about how many time paradox's they're creating. Kojima also states that other players' stories will become intertwined with yours, as you compete with other Mother Bases or invite other players to your base as Allies, possibly hinting at some sort of Cooperative play. You are Snake, and Snake is you. Okay, that sounds weird... 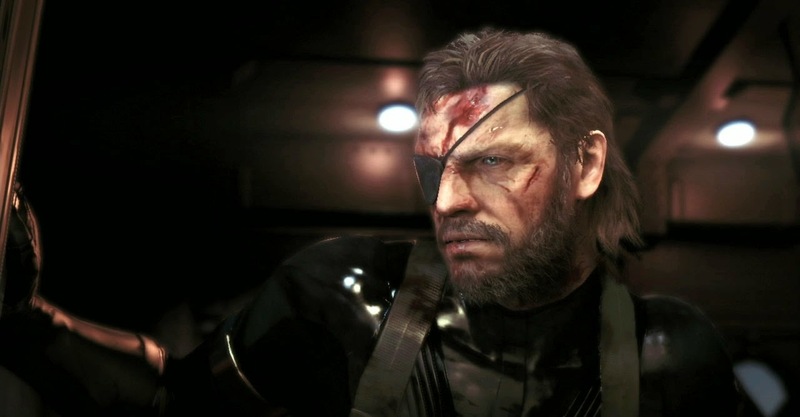 I know I don't have the muscles, gravely voice, or robot arm that Snake does, but in MGS V he is an extension of me, the player. At least according to Kojima. Snake is stated to "not really speak at all" in this installment of the series, to allow the player to feel more like they are in control of Snake. Meaning more specifically, that he will no longer flirt with every woman he sees. This will be "Kojima's last Metal Gear" as if we've not heard that a hundred times. He states that he's closing the saga that is Metal Gear 1 and 2, Metal Gear Solid 1, 2, 3, 4 and Peacewalker and now MGS Ground Zeroes and MGSV. In a way I'm kind of sad, the reason MGS is so good is because of just how Japanese and insane it is, and I think that Kojima is a big part of this. But then again, he said that MGS4 would be his last Metal Gear game and now we're waiting for MGSV to release. Kojima says this WILL BE the last Metal Gear Solid game, but the series will continue. Maybe this is a sign of Metal Gear Rising Revengeance 2!? Afterall, there was that one single frame during the Taipei Game Show that showed a '2' in a MGSR style. It had the internet hyped and excited for a few days, but nothing really came of it. I can only hope that I have the chance to 'Leave them all be HIIIIIIIIIIIND' again.